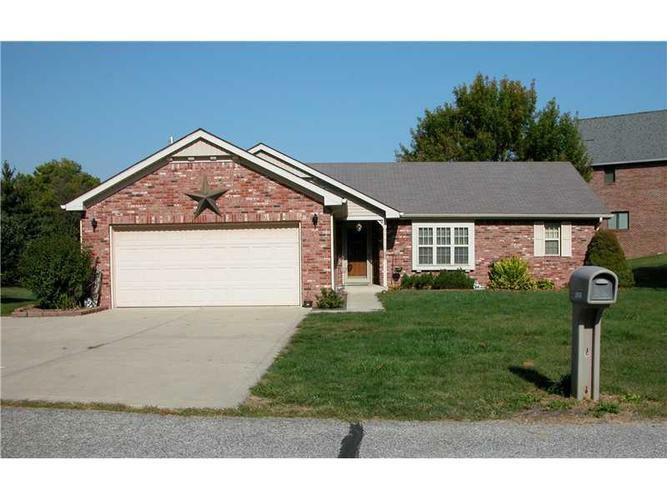 Beautiful full brick, ranch, open concept home in excellent condition. 3 bedrooms and 2 full baths with space galore. Kitchen features abundant oak cabinets, plenty of counter space and all appliances stay. Large walk in closets. New commercial grade flooring throughout home, as well. Garage is finished and heated and more space with new mini barn. Lot is gorgeous, located on the pond. Great fishing and plenty of space to entertain guests. Enjoy easy access to Hwy 37. See Today!! Directions:37 S PAST MARTINSVILLE ROUGHLY 2 MILES TO LEGENDARY HILLS. FOLLOW MAIN ROAD INTO ADDITION. LOOK FOR NEIGHBORHOOD SIGN. DEER LAKE DRIVE IS FIRST ROAD ON LEFT. PROPERTY LOCATED ON RIGHT SIDE OF STREET.